15. 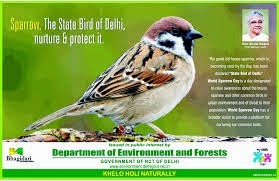 NEW DELHI: The Delhi's state government's advertising campaign on the occasion of World Sparrow Day on Wednesday carried a picture of the Eurasian tree sparrow, which is neither found in Delhi nor in most parts of India, mistaking it for the house sparrow. It was an ironic reflection of the plight of the sparrow, declared Delhi's state bird last year when it had all but disappeared from the city. The matter would have escaped attention but for the massive number of bird lovers in Delhi. Some furious bird lovers called the environment department while a discussion was launched on social networking sites. The picture had been downloaded from the internet and while the environment department officials accepted the error, they said the idea was to depict a sparrow which is what the advertisement did. "For a large part of the public, the bird in the ad is a sparrow and it becomes immaterial that it is the wrong species. We managed to get the message across. The difference would have been evident to only a trained eye. 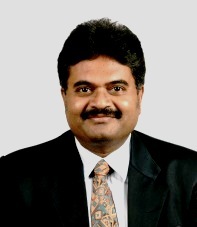 However, such an error should not happened and will recur in future," said an government official. 17. Safety inspectors forget to replace a valve at the Piper Bravo Oil Rig: This led to a massive explosion. Oil workers had to be evacuated from the Piper Bravo Oil Rig after an explosion. The explosion killed 167 of the 226 men working.